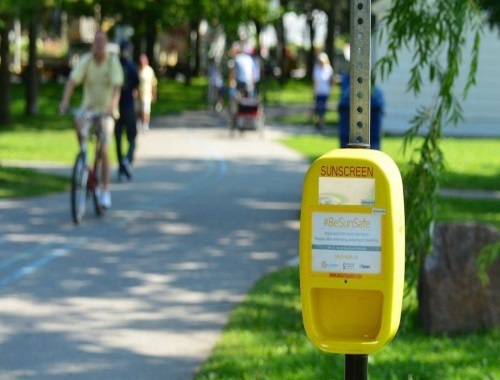 Sunscreen is important and the City of Toronto is providing free sunscreen at select local parks through a new public health pilot project in partnership with the David Cornfield Melanoma Fund and the Douglas Wright Foundation. Great idea don't you think? It reminds people to wear sunscreen.